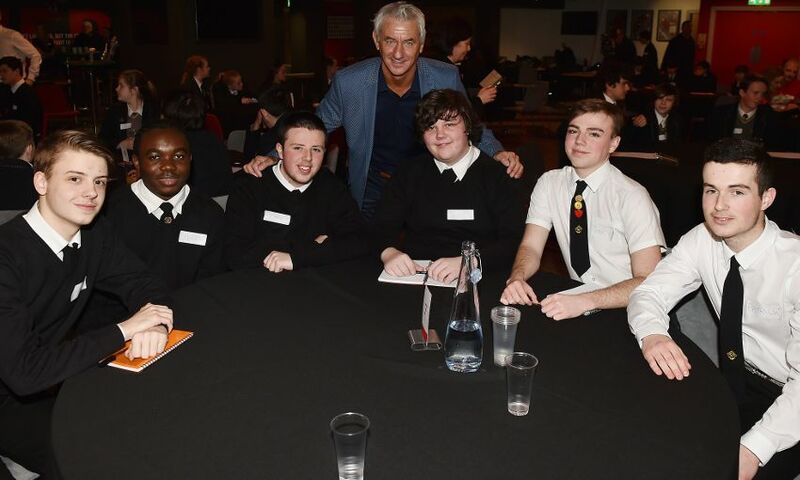 Liverpool legend Ian Rush and chief executive officer Ian Ayre recently offered their career advice and insight to youngsters in the Anfield area. More than 50 pupils from Alsop High School, North Liverpool Academy, The Academy of St Francis of Assisi and Notre Dame Catholic College attended a career networking event at Anfield and had the opportunity to speak face to face with 20 members of LFC staff about their careers at the club. 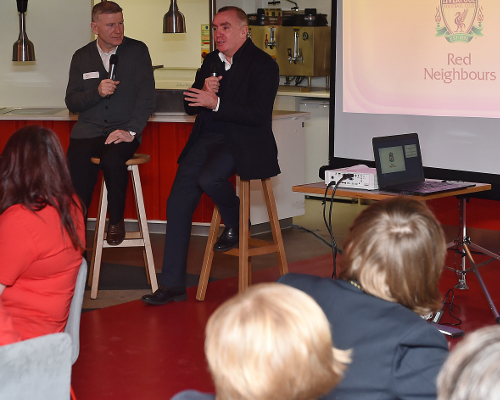 Ayre, who was brought up in the shadows of the stadium, shared his experiences to date and his journey to the top with the pupils, while club ambassador Rush also discussed his footballing career and achieving his childhood dream of scoring in an FA Cup final. The pupils were then given the chance to gain valuable insights into the many diverse roles within the club, including retail, communications, legal, finance, marketing, HR and many more. As well as providing the young people with the opportunity to learn more about the different pathways taken to get into various industries, they also had the chance to develop their communication and inter-personal skills at the same time. Gayle Hall, careers co-ordinator at Notre Dame Catholic College, said: "This was a really enriching and inspirational event for our students, who were able to discover a range of job roles they hadn't known existed at the club. "The staff were so supportive and encouraging and were able to show how important hard work and resilience is, whichever career pathway you follow. We are very grateful to Liverpool Football Club for giving our students this valuable insight." Jack Guilfoyle, 16, from the Academy of St Francis of Assisi, said: "I learned a lot from the event. It's nice to know what other people went through to get their jobs and the obstacles they faced. It gives students like me the inspiration to know that you can still get there and not to give up." Gracilia Baruc, also aged 16, from North Liverpool Academy, added: "It was really enjoyable and we learned that no matter how many times you may fall, you can rise from it." Susan Black, Liverpool FC director of communications, said: "We wanted to support local schools and young adults by hosting a fun and engaging event at Anfield where students could gain some useful career advice and inspiration. "We would like to thank all those who joined us at the event for coming along to Anfield and we hope that they found some of our career stories helpful." The club's 'Red Neighbours' programme supports local residents and schools in the Anfield community, focusing on four key areas: food poverty and education; support for the elderly community; encouraging a physically active community; and creating memorable experiences for young people.